Cristin won best use of paint chip. She did an awesome table runner. 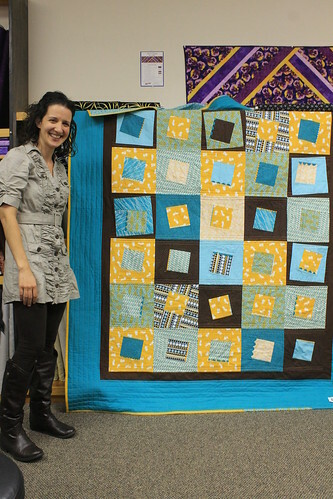 Jaclyn won viewer's favorite with a really cute twin size quilt. She said it started out small and then kept growing. 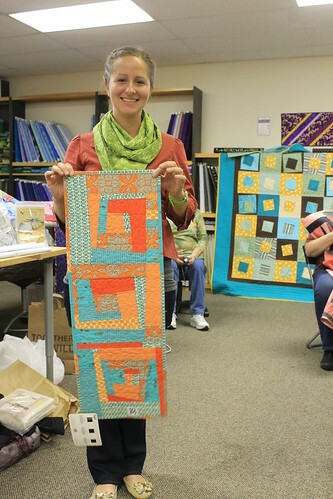 Catie won best use of wonky with a great little wall hanging. Each person in the circle starts with 1 yard of fabric. The music begins and you’ll pass the fabric around in a circle. Once the music stops, you’ll cut the fabric in your hands in half. You keep half and then the next round starts. 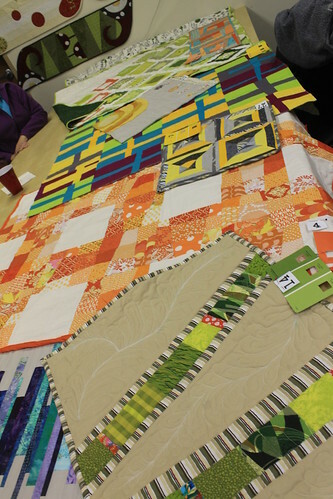 We’ll continue to pass and slash the fabrics until we end up with scrap-sized pieces left. The fabric you keep each round becomes yours to take home, so you’ll leave with a yard of various prints. Building on the fun from our 1stAnniversary party, strip poker is back again! We’ll play rounds of “poker” (highest single card wins). Each round you’ll bet a 2 ½ “ fabric strip. Winner takes all! - As many 2 ½ “ x WOF strips as you’d like. Jelly rolls work great for this, but you can also cut your own. 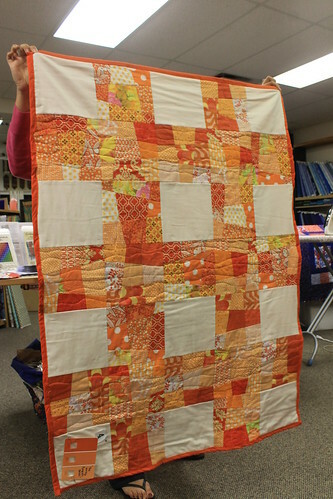 The Zanesville Museum of Art is hosting a show of Ohio quilters - submissions are due Dec. 15th. More info here. 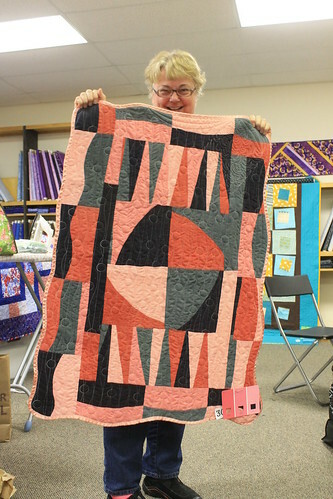 And The Modern Quilt Guild is accepting entries for QuiltCon - submissions are due November 30th. More info here.